BLOX Racing high performance electric slim fans are an ideal upgrade for performance enthusiasts and racers. Whether you already have a high performance radiator or are planning to purchase one, the BLOX Racing electric slim fan will deliver more air to the radiator and significantly aid in keeping your engine as cool as possible. BLOX Racing electric slim fans are more durable and lighter than the bulky OEM units, and more importantly, will deliver more cooling capacity to your radiator. With its smaller size and higher capacity, your radiator will see maximum airflow compared to similar fans with bulkier shrouds. 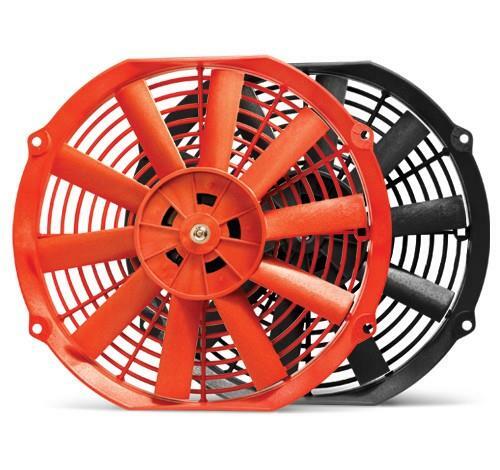 BLOX Racing electric slim fans will maintain consistent flow regardless of the engine’s RPM.